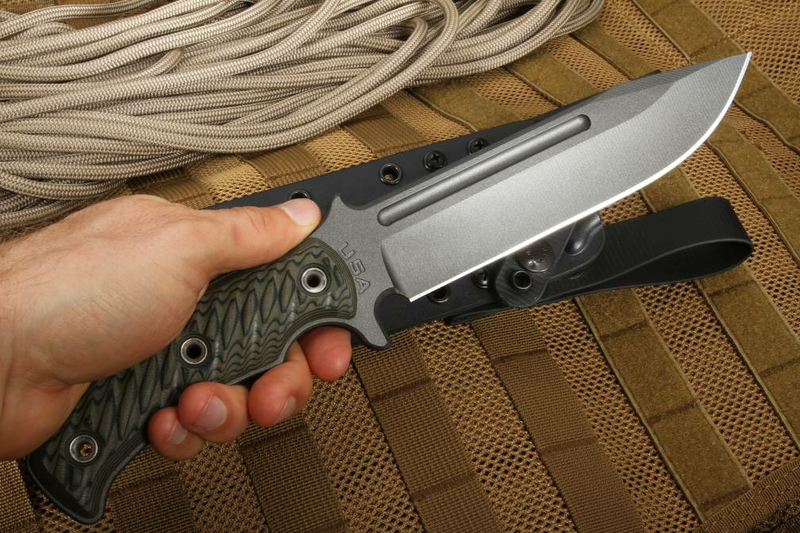 Some of the best-known combat knives are truly iconic. The K-bar, the USN Mk2 combat knife, and many others from the battlefields of World War II are some of the best known. The RMJ Combat Africa Fixed Blade Knife looks like it could be the descendant of any of these knives from the trenches, jungles, and beaches of the Second World War. It would easily be at home in the showcase of a collector as well as the hands of an operator in a special forces unit. 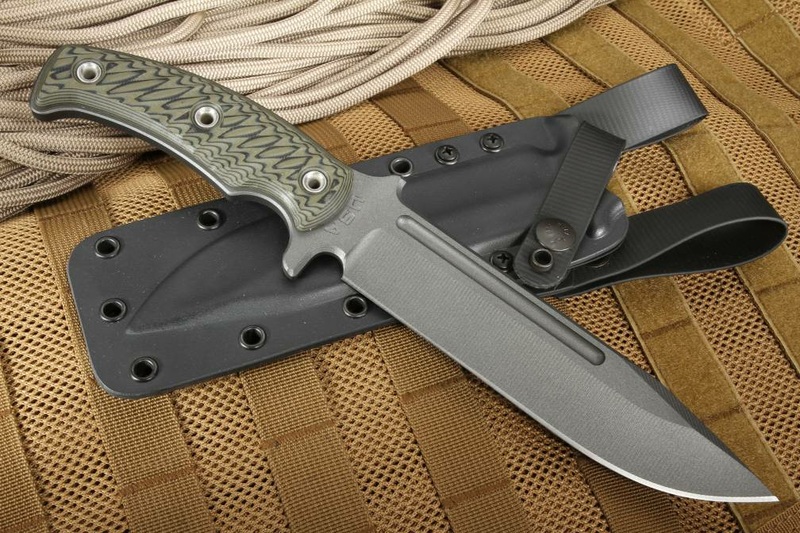 The knife is 12" in total length with a 7" blade, forged from 80CrV2 tool steel. The 1/4" thick oversized stock is heat treated to 58-60 HRC, meaning your knife is more than tough enough to handle anything you can throw at it, and still keep that razor sharp edge. A long, deep fuller provides strength to the blade as well as a reduced surface area for deeper penetration. The clip point design is ideal for puncturing, yet the curve allows for a better surface area on cuts as well. The knife is finished with tungsten cerakote for added corrosion protection as well as an additional layer of hardening for durability and rust prevention. 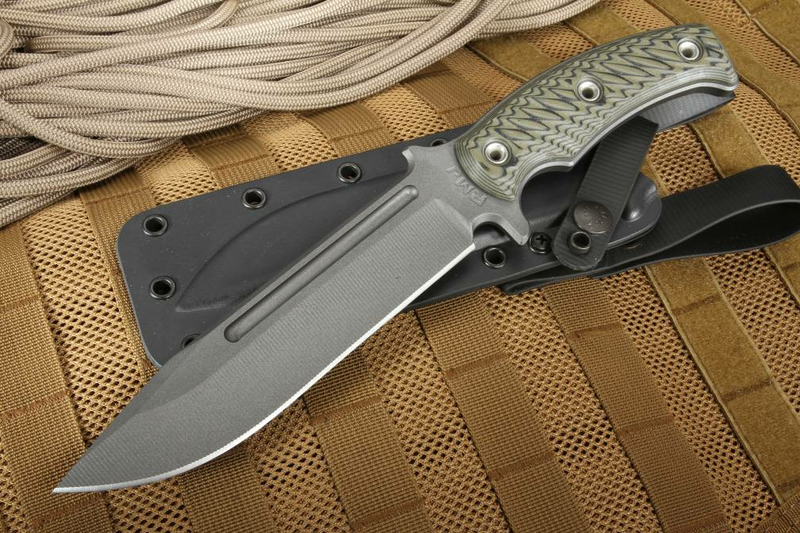 The full-tang handle is G-10 3D machined composite scale, available in Black, Dirty Olive, and Hyena brown. G-10 is a superior material to the old stacked leather or Bakelite of yesteryear, as it provides a sure grip in any weather or climate condition, as well as being waterproof and lightweight as well as damage resistant. The swept Bowie knife blade design makes the blade comfortable to wield as well, even with extended use and a superior angle for cutting. 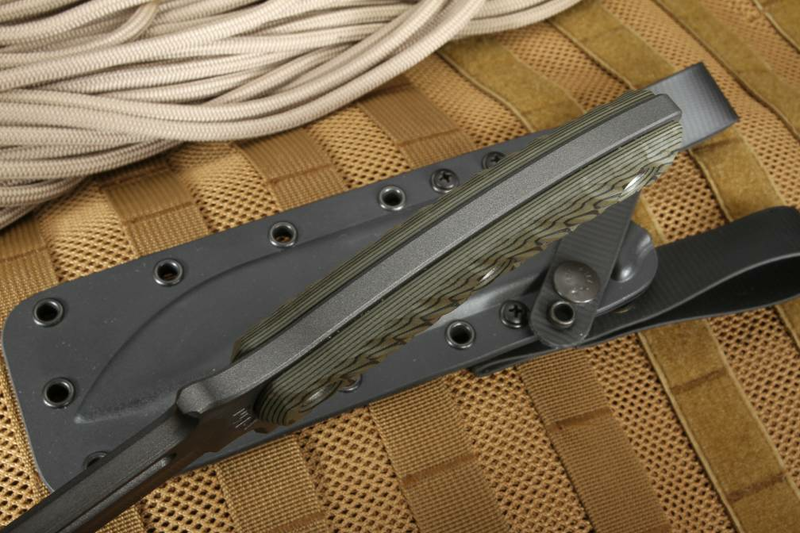 The Combat Africa knife comes with a Kydex scabbard with low-ride MOC straps for belt carry. The weight of the knife is 14oz. 19.5oz with the sheath. 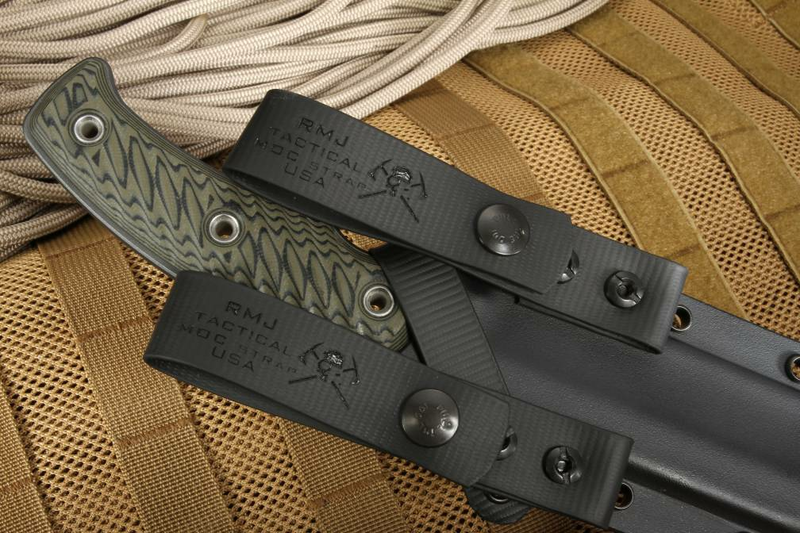 RMJ Tactical knives are all made in the USA and have a 100% lifetime guarantee against structural integrity for the lifetime of the blade, not just the owner! (Excludes normal wear and tear). 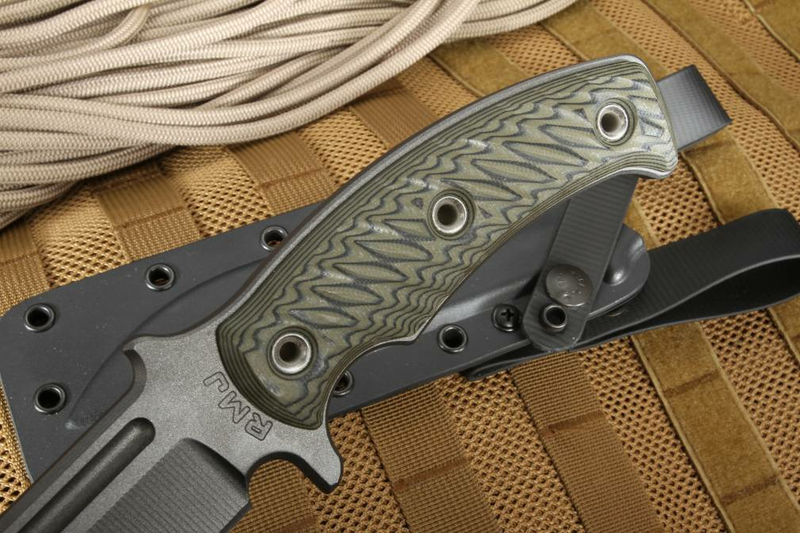 Knifeart.com is an authorized dealer of RMJ Tactical and offers fast, free shipping within the USA. We are so confident you'll love your purchase that we offer a satisfaction guarantee. If you don't like your knife, simply return it! We offer easy returns with no restocking fees.